Marvel’s Spider-Man is a landmark title for Insomniac in a lot of ways. Not only is the game receiving positive reviews, it is also the developer’s first licensed game. While the studio is famous for original franchises like Spyro the Dragon and Ratchet and Clank, Insomniac says it’s not opposed to working with someone else’s characters again. In fact, an Insomniac representative noted that the relationship with Marvel was a positive one. Speaking with FANDOM, Community Director James Stevenson said the comics publisher pushed the studio. “Working with Marvel probably drove us to be better than we can be when we’re working on our own thing.” The picture Stevenson painted of Marvel is a far cry from the one that supposedly hovered over Marvel vs Capcom: Infinite with an iron fist. In fact, Marvel was apparently relatively hands-off, not putting up any “roadblocks” that stopped the developer in its tracks. 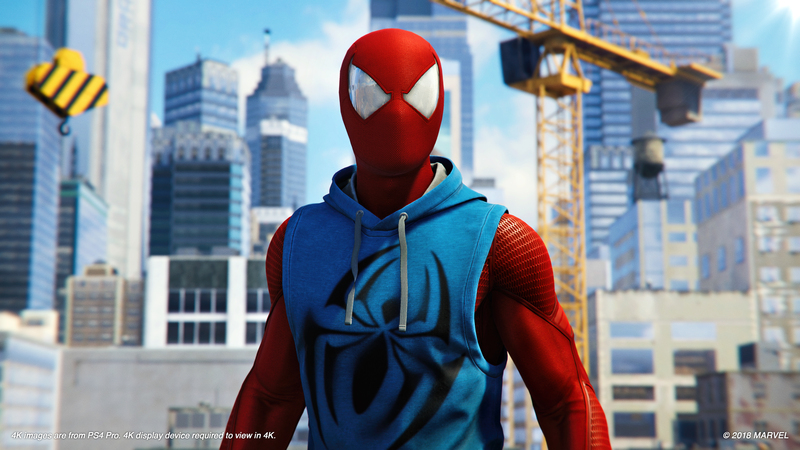 According to Stevenson, the comics giant was more concerned with “wanting to help us make a great Spider-Man game.” Marvel’s Spider-Man has an original story, which showed the creative freedom Insomniac had. Insomniac isn’t working on a new Resistance game at this time, so it will be interesting to see what the studio does next. Marvel’s Spider-Man is out now for the PlayStation 4.